"We're providing Artificial Intelligence technology to humans so that they can use that information to assist them in making the best possible decisions at the best possible times." 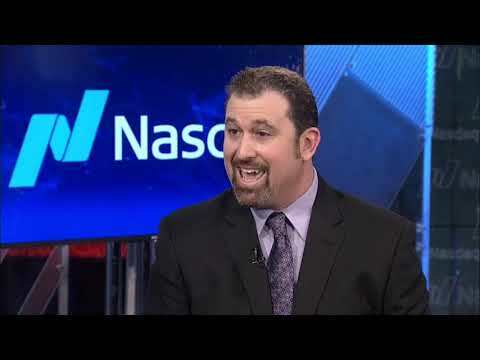 WESLEY CHAPEL, FL, January 07, 2019 /24-7PressRelease/ -- Lane Mendelsohn, President of Vantagepoint ai, the software company that developed the first artificial intelligence (AI) trading software in the world available to retail investors and traders was invited to be interviewed live on NASDAQ as he has been established as a technology and market expert. Vantagepoint forecasts for thousands of different stocks in 13 different sectors including retail. Because of Mendelsohn's impressive data insight, particularly about recent trends in retail, he was asked to do a live interview at the NASDAQ Marketsite in Times Square. "Especially in the volatile markets that we've seen, you've got to have the tools. You've got to have insights and you have to have an edge. And with our accuracy being as high as it is, over 86% accurate, that's going to allow traders and investors to stack the odds in their favor and allow them to make the right decisions at the right times by having insight that they otherwise wouldn't have had if they didn't have this type of technology in their corner," said Lane Mendelsohn, President of Vantagepoint ai.